Fire Emblem: Awakening has sold more copies in its opening month than any other game in the series. 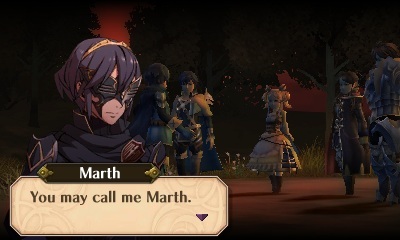 Fire Emblem: Awakening was released for the 3DS early last month and the reception was positive, to say the least. Critics, by and large, loved the game, praising its story, depth, and the clear level of care put into its development. This attention to detail seems to have paid off. Nintendo has revealed that Awakening has broken franchise sales records, selling more than 183,000 copies in its first month. Comparatively, the last entry in the series to make it to North America, Fire Emblem: Shadow Dragon, only sold 250,000 copies total, following its release in 2009. The success of Awakening is likely a welcome turn for Nintendo and developer Intelligent Systems, especially considering some of the problems that marred the game's launch. While Awakening was slated for a North American release on February 4th, unexpected shipping delays made physical copies rare at retail. For many, the game could only be found on the Nintendo eShop, where it was available for download on its release date. Nintendo has reported, in turn, that some 63,000 copies of Awakening, more than a third of February's total sales, were sold digitally. While this could be attributed to gamers just not having the patience to wait for a physical copy, it's nonetheless a notable success for the eShop and a good demonstration of just how valuable digital sales have become. With Awakening a success, the question now is where Fire Emblem will go next. Plans to support the game post-launch with DLC are already in motion, and a Fire Emblem and Shin Megami Tensei crossover is in the works. That said, one option fans might appreciate exploring would be the re-release of some earlier games that have yet to leave Japan. When North America received its first Fire Emblem for the Game Boy Advance, it was 2003. The franchise, at that point, was already thirteen years old. While almost every title since has made its way to the United States, there are several that have never had western releases. With the success of Awakening potentially strengthening the Fire Emblem brand abroad, it might be an opportune time for Nintendo to crack open its vaults.